If you have got to buy new HP 930cm ink cartridges, then Cartridge Save will have everything you ever want! Actually getting matching replacement printer cartridges is a time consuming problem, even more so when it entails having to drop by a lot of specialists. On the flip side, replacing 930 cm ink need not be a stressful time. Purchase some HP 930 cm ink from Cartridge Save. When you take the final decision to buy discounted HP ink off Cartridge Save, you can be sure in the fact that the purchase is going to get delivered on the very next day. Any HP 930-cm print cartridges purchased off Cartridge Save are also covered with our money back assurance. Place your order without delay and you can make major savings with Cartridge Save! 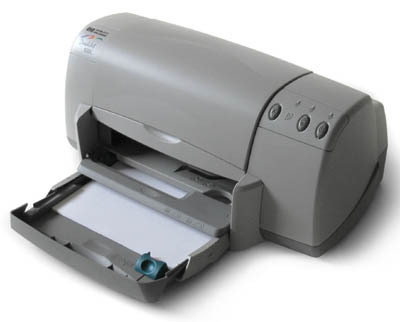 A much older model but still reliable, the HP Deskjet 930cm is an affordable printer with low running costs. This dependable workhorse delivers excellent coloured and black image quality and is built to outlast the test of time. The sturdy HP Deskjet 930cm is good enough for home and small office use, but of course, it is slower than newer models. The basic HP Deskjet 930cm is a compact and easy-to-use printer with a simple control panel and USB connectivity. It weighs 12.6 pounds and measures 17.32 x 7.72 x 15.76 inches. The HP Deskjet 930cm has a monthly duty cycle of 2000 pages – certainly comparable to more recent releases. Maximum input capacity is 100 pages. Running costs of HP Deskjet 930cm is fairly low because of its low power and ink consumption. It is compatible with both Macintosh and Windows operating systems and produces good quality prints. The HP Deskjet 930cm also has a low initial price, making it popular with students. The HP Deskjet 930cm is not suitable for large offices as it does not have Wi-Fi connectivity or built-in Ethernet. This model is rather old, so compatibility is always in issue. Printing speed is slow – in fact, the fastest is 9 ppm for black text drafts.